EURUSD is under the influence of Germany Manufacturing PMI from Markit for today. 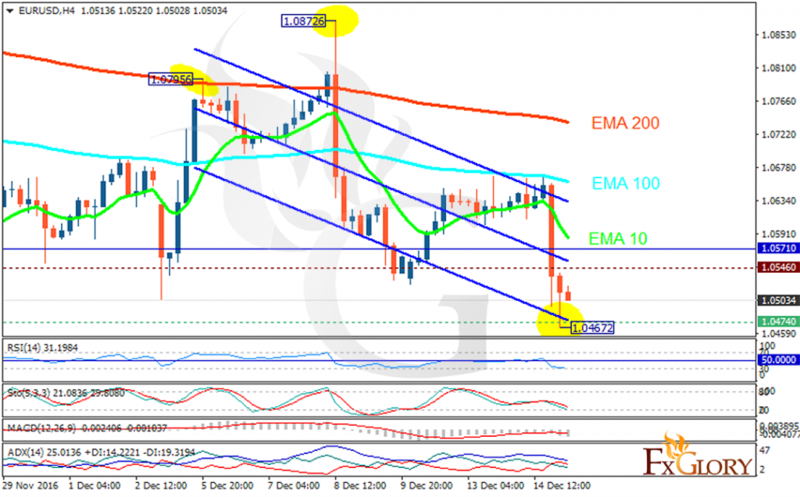 The support rests at 1.04740 with resistance at 1.05460 which both lines are below the weekly pivot point at 1.05710. The EMA of 10 is moving with bearish bias and it is below the EMA of 100 and 200. The RSI is moving in oversold area, the Stochastic is moving in low ranges and the MACD indicator is in negative territory. The ADX is showing a weak sell signal. As the pair is not falling lower, buyers’ next target would be 1.0500.